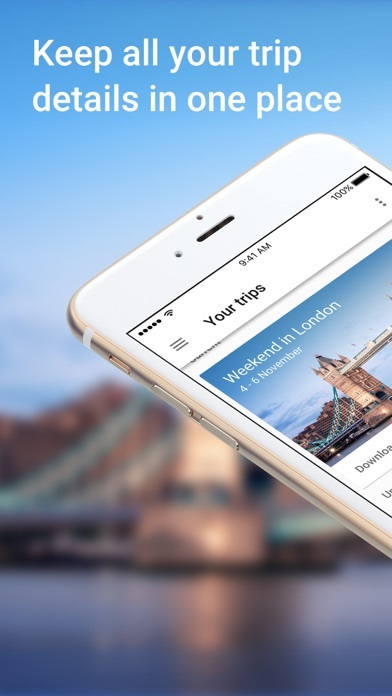 Exploring the world just got easier with Google Trips. Get activity suggestions based on what’s nearby, customizeable day plans, and your travel reservations from Gmail. Google Trips is even available offline, so you’ll always have your info when you need it. DAY PLANS For several hundred of the world’s top places, find popular day plans organized on a map that you can customize based on your interests and available time. AUTOMATIC TRIP ORGANIZATION Your travel reservations are automatically gathered from Gmail and organized into individual trips. Each trip contains day plans, things to do, food and drink suggestions, and more. NEARBY THINGS TO DO Find out when you’re near popular attractions (and whether they’re open) as well as reviews and ratings from other travelers. 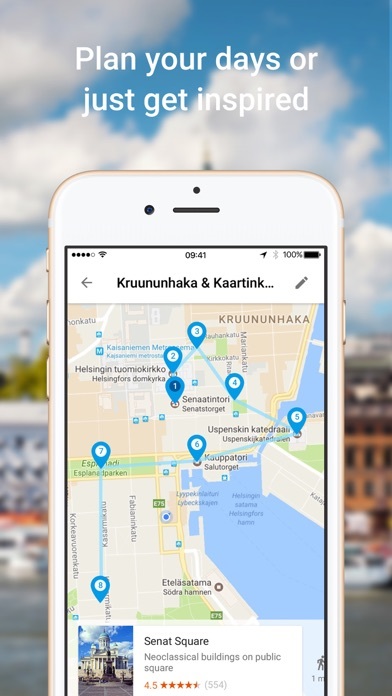 Every trip contains ideas for things to do automatically organized into useful categories like Nearby, Top Spots, and Indoors or Outdoors. 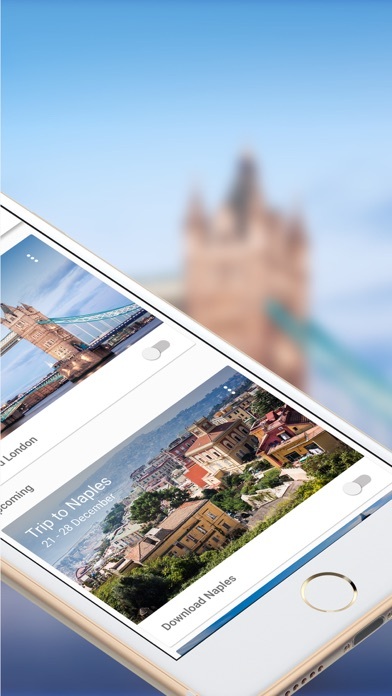 For many of the world’s top places, you’ll get curated local suggestions and travel tips. 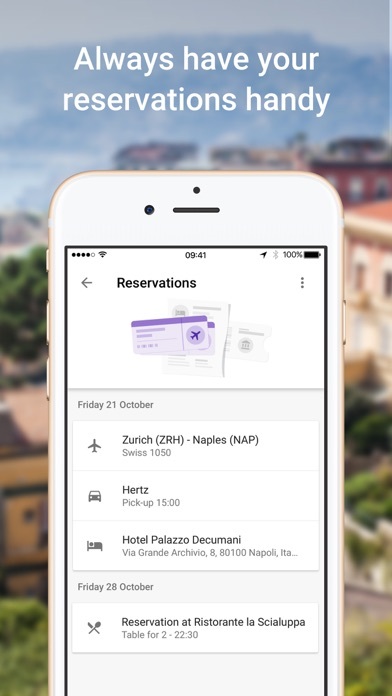 BUNDLED RESERVATIONS See your flight, hotel, rental car, and restaurant bookings in one place without having to search for them individually. OFFLINE ACCESS No Internet? No problem. 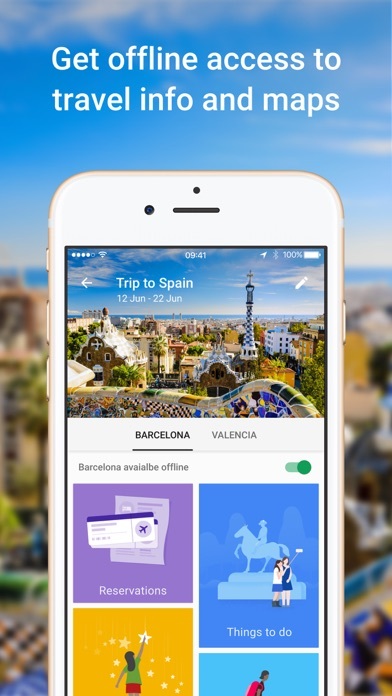 Google Trips is available offline, so you’ll always have access to your info. Permissions Notice • Location: used to customize attraction suggestions such as “Nearby” and “Now” as well as for calculating the distance of attractions to the user.